8.8.18 Lanchang: Today is a very special day. 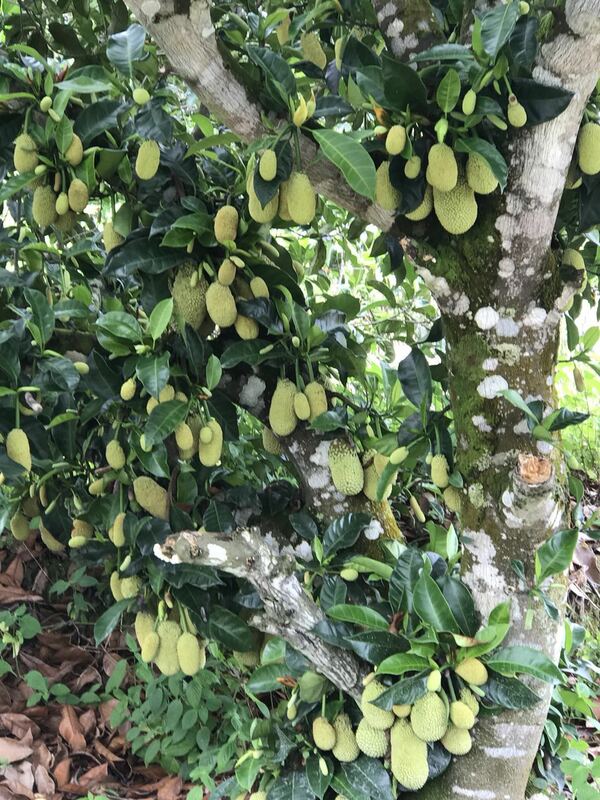 We have published the fruit setting photos of our wonderful chempedak trees, now we are proud to share the bumper harvest of our crop for the year. First of all Thank You God for your blessing of good weather to enable the tree to nurture the fruits. of course our workers and supervisors have been most wonderful in caring for the crop. 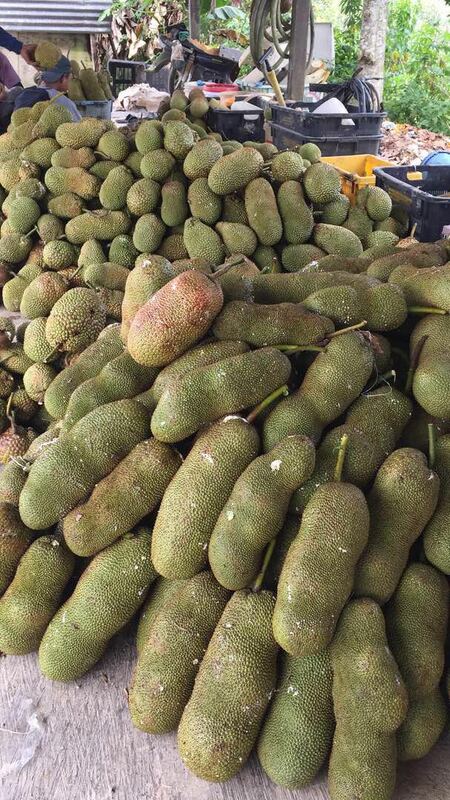 The chempedak picked are matured and should be able to serve on the table in 5 to 8 days. 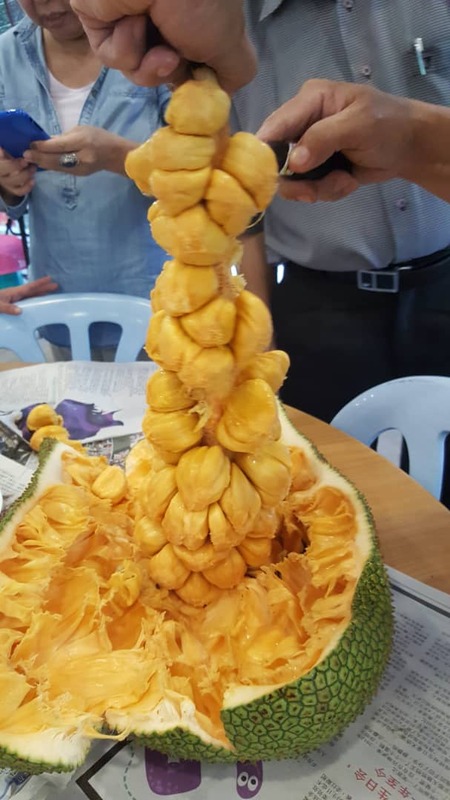 The Chempedak is between 2 to 3 kg. Anyone interested to place a direct order can do so by sending a whatsapp only to Anthony at Tel 60147319036. The fruits will be packed and delivered to a pick up station in Klang Valley for you to pick up. This offer expires on Merdeka Day August 31st 2018.